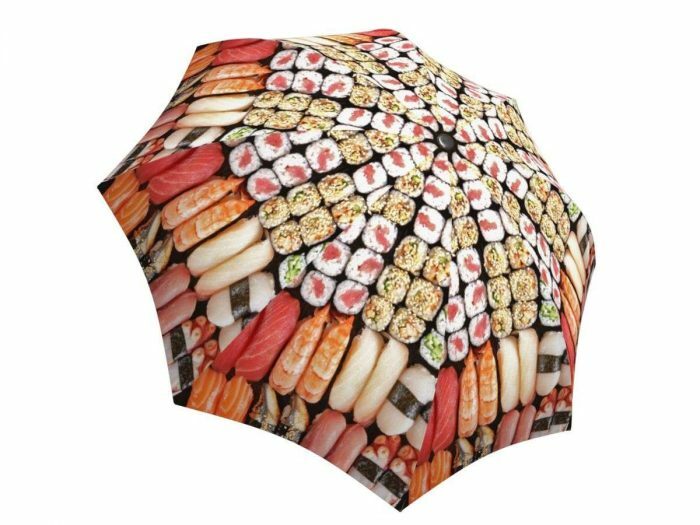 A travel umbrella for the sushi enthusiast. 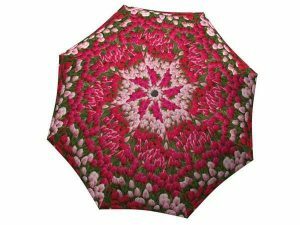 This is the most delicious way to keep yourself dry – just add some soy sauce and you’re good to go. 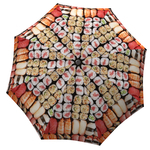 Amaze the sushi-lover and food fanatic in your life with this tasty and original patterned gift! 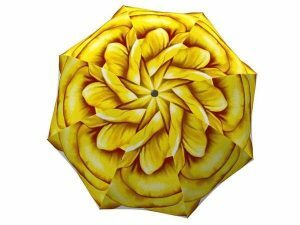 This unique rain accessory will also be a great souvenir for any travel enthusiast. 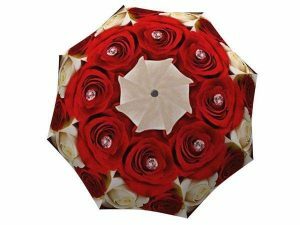 The well-built design with unbreakable fiber glass ribs makes this not only a creative but also a practical present. This beautiful custom umbrella will add a touch of splendour to any sushi and Japan themed events. Perfect for your Japanese friends and family, but also the foodies in your life!